Lisa Elia is a communication expert, media trainer, presentation trainer and pitch coach. She been interviewed as a media trainer and expert by media outlets that include Entertainment Tonight, E! Entertainment, Fox News, Us and many others. She draws upon her more than 20 years of experience training clients for media interviews with CNN, Good Morning America, The Oprah Winfrey Show, network TV news stations, and radio stations, as well as high-level national and local print interviews. 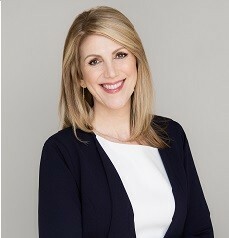 Lisa's interest in public relations began early: she earned her bachelor’s degree in communication with a public relations emphasis, and has spent more than two decades since then working in PR and as a media trainer and presentation trainer, preparing clients for major presentations and speeches. [read more="Read More" less="Read Less"]It was during Lisa's career as a high-level publicist that she saw that clients were coming to her for media training and strategy, which prompted her to open Expert Media Training, focusing solely on media training and presentation training. In addition to training clients for media interviews, Lisa has been interviewed by major media outlets, and she has delivered hundreds of presentations from the stage, addressing both large and small groups of people, ranging from start-up entrepreneurs to C-level executives. Lisa knows what it takes to work with the media and to take the stage and command the room. Lisa's knowledge of the media is deep, which is just one of the reasons she is an effective media trainer. She produced and hosted Meet the Media Day 2010 and Meet the Media Day 2011, during which she provided PR training, media interview techniques and social media tips to audiences of 150+ attendees. During these events she also interviewed esteemed members of the media panels she assembled, which included top editors and producers from media outlets that included the Associated Press, Fox TV, Los Angeles Times Magazine, SELF Magazine, and more.